Joy Phido is the CEO of World of Braiding & Extensions Ltd. An experienced business owner whose experience spans over various businesses. Joy is a Specialist, Consultant and Designer of Natural Hair & Extensions Beauty. She is a Natural Hair and Extensions Training Director and a Natural Hair & Extensions Business Coach and Advisor. She is married with 4 children – two of which are teenagers and the other two under 10 years. 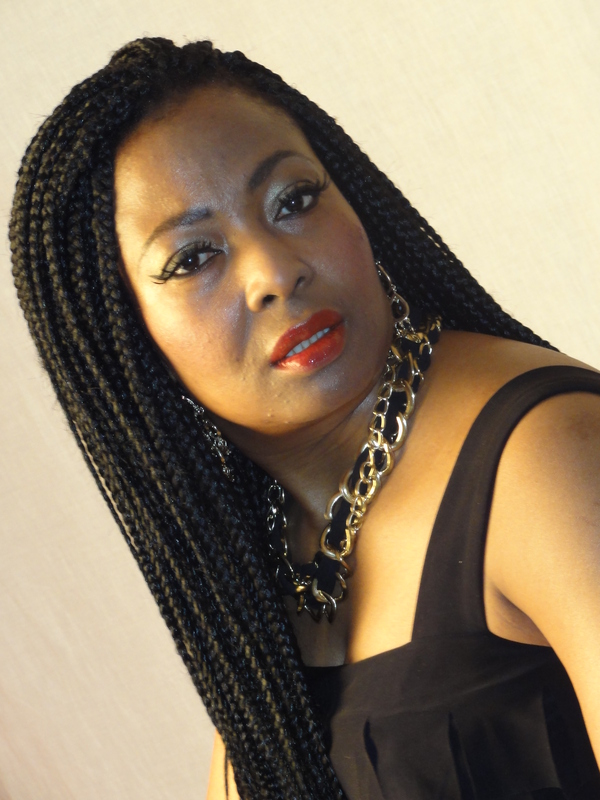 Joy has over 30 years’ experience of wearing and working with natural hair, hair braiding, weaves and extensions and has the following qualifications – BSc degree in Business Administration, NVQ Level 3 Hairdressing qualification, NVQ Levels 2 & 3 Business Administration, City & Guilds qualified teacher, ILEX qualified Legal Secretary, State Registered Hairdresser (SRH), has various Certificates in make-up, Hair Braiding, Weaving, Lace wig installation & Fusion Extensions, Certificates in Neuro Linguistic Programming (NLP practitioner) and Personal Development speaker. Joy’s passion for hair dates back to when she was 5 years old in her home country Nigeria where as a child in Ogoniland, she started playing with grass for hair strands. The grass leaves represented Barbie dolls as is known today with little girls. She took the passion of hair with her to Secondary School where she was the only one who had the privilege of designing the senior students’ hair. With a strict educational requirement in Nigeria, she went to University and put her passion of hair in the background while studying for her degree qualification. In University, she studied Business Administration with the dream of setting up her own International Business in future. After becoming a graduate, as is normal in Nigeria, she had to find a prestigious job to be accepted among her peers. This she did in Lagos when she worked in various banks and rose to the role of Deputy Manager in the Treasury Department of a Commercial Bank. In addition to the banking job, she set up her fashion and beauty business – called Perfekt Finish – which got her started on the route of running her own business. On emigration to England in 1994, Joy had to start her life afresh in a new country and a new environment. This she did by taking on various trainings starting again with the NVQ Levels 2 and 3 in Business Administration. After completion, she took on various jobs among which was another prestigious job in the City of London working from Lloyds of London with one of the worlds’ topmost Telecommunications Company at the time – one of America’s top telecoms company – MCI WorldCom. Then came the telecoms crash and Joy had to take on voluntary redundancy from MCI WorldCom as she was expecting her third child and the company was now operating from Reading which was a long travel from London for a pregnant woman. At this point, it had become apparent that gaining employment with 3 children was not going to come easy. She took on various other roles – took up training in paralegal and with a distinction in ILEX, became a Legal Secretary in a Law firm. She got stressed out with 3 children and the pressures of work, and then chose to work from home – this time a weight loss company – Herbalife hoping this will sort out the problem of childcare. This proved to be very expensive and more stressful than all her other work experiences put together. It was a big mistake. Then Joy remembered her childhood dreams of running her International Business. She read a book that changed her life – Think & Grow Rich by Napoleon Hill. This inspired her to go back to her passion and dreams of working with hair. She had always worked with hair, starting with her young children who were 3 girls. It was therefore easy to include paying clients to her schedule by working from home. This had answered her problems of childcare as she joggled dropping the children in school and coming back home to attend to her clients. Africans knew braiding but lacked glamour & professionalism in the delivery of their services; were ignorance in working with virgin natural hair, were not using modern tools and practices in offering their services etc. Americans also knew braiding and had glamorized braiding but lacked understanding of health & safety issues, working with virgin hair, consultation with clients etc. UK and Europe had no clear understanding of professionalism in braiding, customer care, health & safety etc. This comparison of knowledge and experience empowered her to offer a more versatile method of teaching while dealing with learners from across the world. This enabled her to introduce the Professional, Glamorous, Modern Hair Braiding & Natural hair Concept. In her teaching experiences with the Local Authority Council, Joy had to deal with a multi-racial group of students. She noticed that her students who came from all backgrounds only needed one thing in common to become professional in natural hairstyles – passion and interest. She then introduced a good mix of all her accumulated knowledge and experience in her teachings – professionalism, health & safety, customer care, glamorizing natural hairstyles etc. This helped her to start creating expert & professional braiders from people who had no knowledge or experience of braiding or natural hair styles. This was quite an exciting route and inspired her to set up Braid Creations which she used to continue working from home. Setting up Braid Creations made life easier for Joy because at this stage she had 3 children to look after and childcare in England is one of the toughest problems a mother has to face. It is expensive, depressing, disheartening etc etc. It is one of the most difficult mix to take on – a job and raising children. There is no flexibility with jobs and family life suffers when a Mum takes on full time jobs. With jobs equally difficult to find, setting up her business at home was the only logical option as it gave room for flexibility of joggling school run and looking after the children. As Braid Creations grew successful, it was now clear that the business will survive the test of time and was now changed to World of Braiding & Extensions Ltd.
Joy’s comparison of natural hair and braiding practices from across the globe continues to provide her with a wealth of information which she passes on to her students thereby making them better informed and equipped professionals. Training to become a qualified teacher also helped immensely as Joy found out this was lacking with the American training centres she had attended. They knew their skill and could showcase the most amazing looking styles but could not translate this knowledge to a student. They also lacked depth in their training as it is all based on practical work without any background theory to make learning complete. With the continuous search for knowledge, Joy took on the NVQ Level 3 Hairdressing Course. This was to gain a better understanding of the difference between Hairdressing and Hair Braiding. This was to become very clear and the major points Joy noted was turning Hair Braiding and natural hairstyles to a professional level by including the theory aspect of understanding Hair, how it grows, what causes damage etc, Health & Safety, Client Care, Consultation etc. Hairdressing also helped with the understanding of the business of hair, retails, photoshoot and show casing the glamorous side of hair etc. All these research and knowledge has firmly created better background information to the training offered at World of Braiding & Extensions. Joy believes that the key to teaching is about continuous research, communication, flexibility, patience, passion, willingness to share knowledge etc etc. All these attributes have contributed to making World of Braiding a No 1 training Academy for teaching Natural hair styles and Extensions. Joy has used these positive attributes at World of Braiding & Extensions to successfully create thousands of satisfied students who have trained to become professional natural hair and extensions practitioners and have gone on to achieve their dreams by becoming self-employed, started their salons, working in a salon, adding natural hair skills to their careers, offering the skill to their loved ones etc. One of Joy’s attribute to success comes from Personal Development. She is a huge practitioner and supporter of the fact that if you are strong internally, you will be able to withstand the pains and stresses that life presents. She is an ardent reader of various great motivational speakers – Jim Rohn, Earl Nightingale, Brian Tracy, Anthony Robbins, T.Harv Eker, Christopher Howard etc. The hunger for personal development came from a training Joy undertook in NLP. Without NLP leading the way for Joy to view life differently, the story may have been different.